Some of you may be not aware that we can use SharePoint List for Visio Diagram data source. 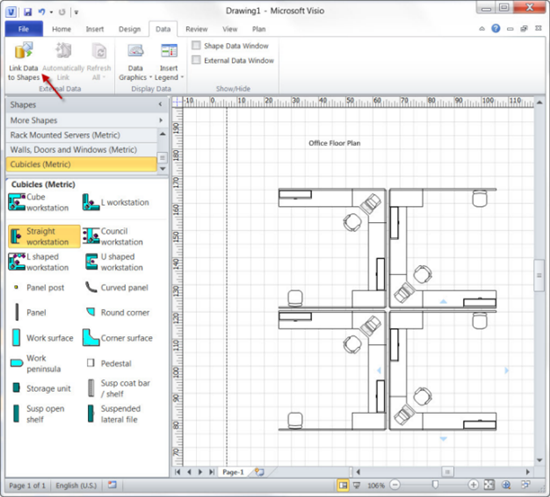 So how can we configure SharePoint List for Visio Diagram data source? Following steps demonstrate how to do it using SharePoint 2010 and Visio 2010, however it also applies to SharePoint 2007 or Visio 2007. On Data tab, and Link Data to Shapes. 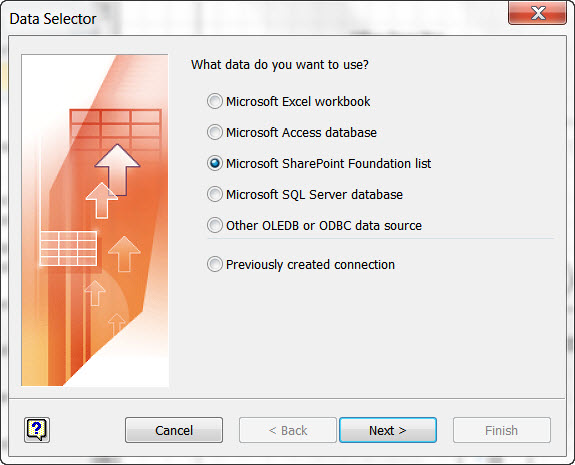 On Data Selector window, choose Microsoft SharePoint Foundation list. Note: Enter username and password combination if necessary. 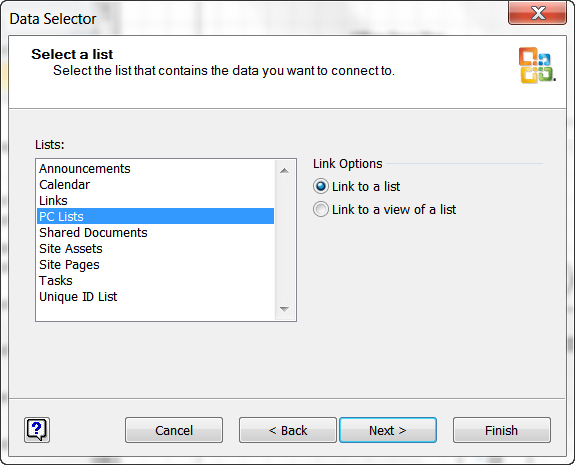 Choose SharePoint list that you want to use, then click Next and Finish. You will return to the main Visio diagram with data table from SharePoint list. 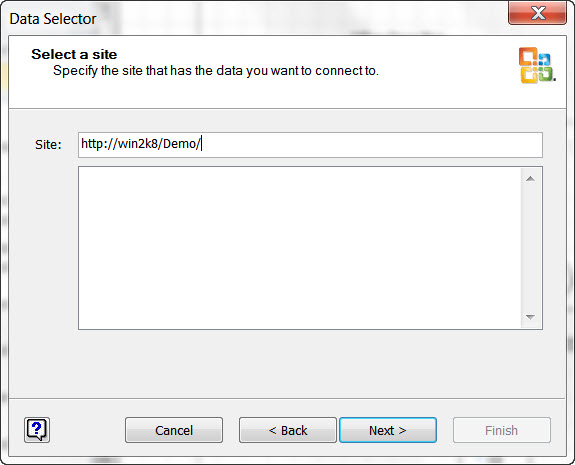 Then you can use the table (linked-to-SharePoint List) as data source for your diagram. 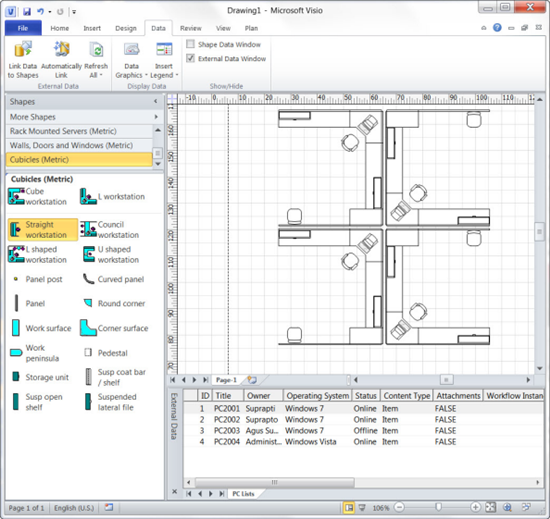 I am trying to link shapes in Visio 2007 drawings to data in a SharePoint 2007 list. In the past I have linked the Visio shapes to data in an Access DB with no problems. I followed the same process in both cases. However, when trying to link the Visio 2007 (Pro) shapes to the SharePoint 2007 list I get the following error message. "Microsoft Office Visio could not connect to the site you specified. 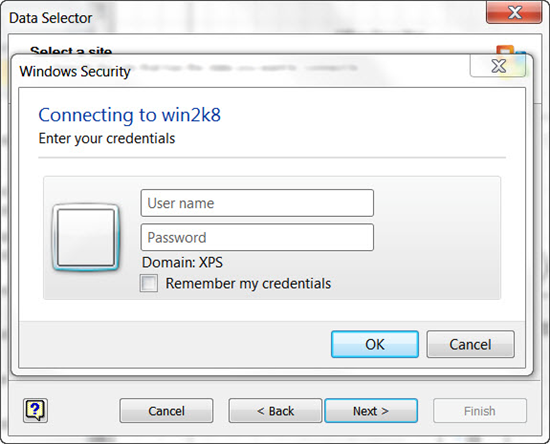 Verify the site address or contact your site administrator." I tried the procedure with various Visio files and several SharePoint lists and always get the above error message. Anyone out there have any insight for me? How to connect a sharepoint online list to visio 2010 to reverse engineer a visio database model into sharepoint online?